You can help make CR Ultimate bigger and stronger! In order to grow the Ultimate community, we rely on the generosity of people like you to support our mission with donations of all sizes. 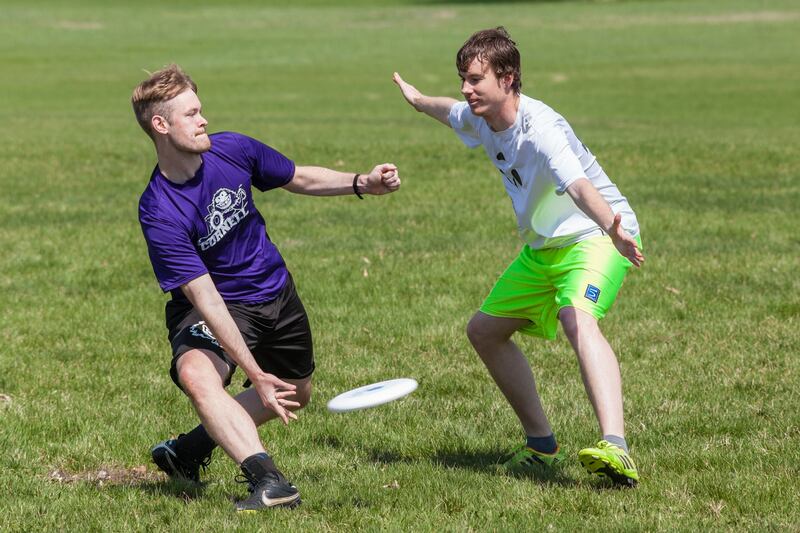 During our October Fund Drive, starting October 16, community members will have the opportunity to invest in the future of the local Ultimate scene. With your help, we hope to meet our goal of raising $1,000 before the end of the month. Gifts will be used to fund youth development, support local teams and create more chances for everyone to play. If you want to invest in the Ultimate community, please make a gift today at our online donation page. You can play a big part in our mission to build a thriving, inclusive and welcoming Ultimate scene in Cedar Rapids. Since our humble beginnings in 2013, we’ve been blessed by the generosity and dedication of players, fans, family members and many others who believe in our goals. Yes, I’ll make a gift. How will CRU use your gift? I may not need to say this but frankly, I’m proud of it so I’m going to say it again. We are recognized by the IRS as 501(c)3 non-profit organization. That means every gift you make is tax-deductible and 100% of your contribution will go toward the pursuit of our mission statement: To promote and develop the sport of Ultimate in the Cedar Rapids metro area. We have three major initiatives that we’re planning for 2017 that you can help us accomplish. Youth Development: We will continue our focus on Youth Development. We believe Ultimate is great for kids and we want to make sure as many kids as possible know that Ultimate is an option (and a super fun one at that). 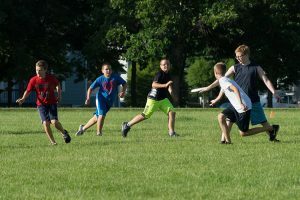 Also, we want parents to know that due to its commitment to The Spirit of the Game, Ultimate can teach kids important life skills in a way that other sports simply cannot. Supporting local teams: We hope to expand our support of local teams. We’ve already begun sponsoring individuals as they train to become certified coaches. Now, we hope to expand that support to help create and sustain area high school teams. 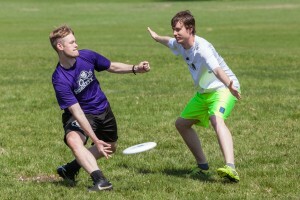 More Ultimate: And of course, we want everyone to have more chances to play! Gifts help us maintain, expand and upgrade the games that we have and create opportunities for more frequent and larger tournaments to be held in our area. Gifts as small as $10 can make a difference. Find the giving level that is right for you at our donation page. Thank you for being a part of what we’ve accomplished so far and for your interest in making a gift during our October Fund Drive.